Areka Spencer had watched her sister, Octavia (above), perform many times on TV and in the movies. But when they went to see “The Help’’ last summer, sitting together in the darkened theater at Regal Fenway, Areka was astonished. She knew this role was different from all the rest. “I’m enormously proud of everything my sister’s done,’’ said Areka, the morning news anchor on WRKO. “But ‘The Help’ was the greatest I’ve seen her. It was that moment of magic. When we walked out, I said, ‘You’re going to receive an award for that.’ ’’ Areka was right. 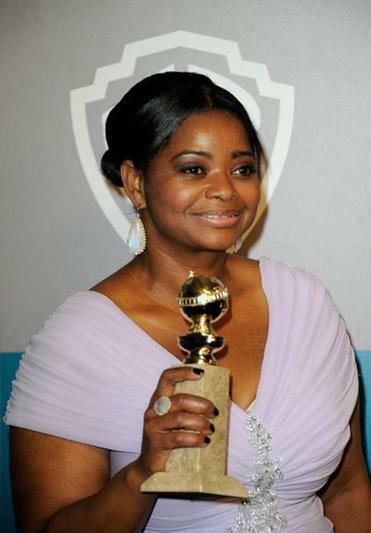 This weekend, she cried as her sister won the Golden Globe for best supporting actress for her portrayal of Minny, a maid in the movie based on Kathryn Stockett’s bestselling book. (The other nominees were: Berenice Bejo for “The Artist,’’ Jessica Chastain for “The Help,’’ Janet McTeer for “Albert Nobbs,’’ and Shailene Woodley for “The Descendants.’’) Areka, who watched the show with friends in Boston, told us she got very emotional when Octavia’s name was announced. “Our mom died years ago when we were kids,’’ she said. “Knowing that she’s proud of her daughter but also not here to experience that moment. . . . It was just very emotional.’’ Areka said she spoke to her sister yesterday morning and she was just going to bed after a long night of celebrating. “I have a sibling bias, of course, but I would not be surprised if she is nominated for an Academy Award.’’ We’ll see when nominations are announced Jan. 24.